I've been fixing Naomi's and DIMMs. Just wanted to show that it IS do'able..
Any tutorial for disassembling & removing the connectors? Having tons of issues with my DIMM carts and I am beginning to think it is bent pins. I was fixing this issue..
With two smaaaal screwdrivers insert and pry like this.. 1.) Find the small hole in the connector. 3.) Find the tab on the opposite side. 4.) Then carefully pry it out like this.. 5.) At the same time pry like this on the opposite side. 6.) Repeat steps 1-5 in the other end to free the connector. 7.) Compress the small tabs and pull the connector out on the other side. 8.) Repeat on the other end of the connector and the 2nd part of the connector should be free. 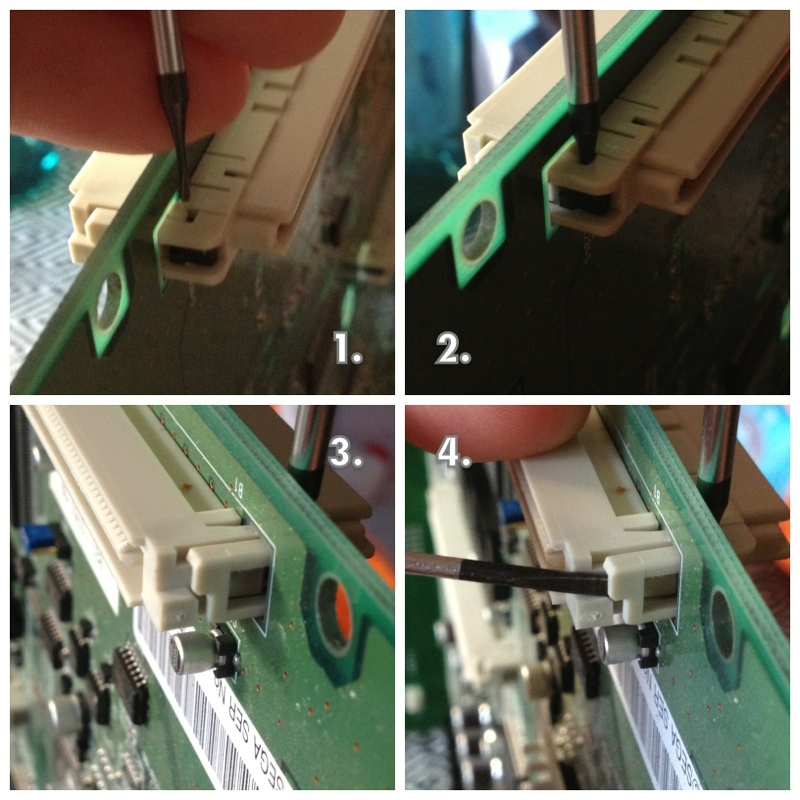 The it's all about, with one of the small, flat screwdrivers, carefully prying under the black plastic in pic 6 & 7. Start in one end and work your way to the other and then back again i small steps until you free the pins. 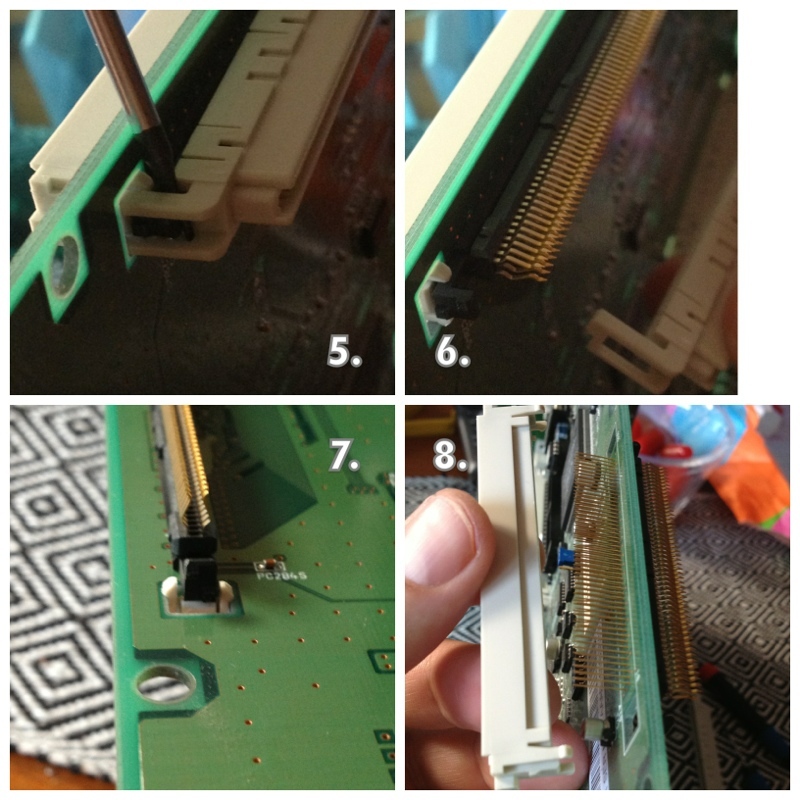 PLEASE NOTE that it took me about an hour to put the pins back the first time..
Reassembly is just the steps in reverse but make sure you put the pins in from the correct side and that the two white plastic parts end up the right way and on the correct side of the PCB. Take pictures before you start and as you go so you don't **** up. A good tip is that you probably won't succeed in pressing the black plastic with the pins back flush to the pcb.. As long as you get it close enough i put the white parts back on and slowly compressed them together with a vise/clamp like this..
To make the pins align is almost a chapter of it's own.. The longer pins are more forgiving but will snap if you bend them back from a too great of an angle. The pointy tips of the flat pins can also break if they don't align when you compress the connector back together again.Take your time. Be prepared to fail and re-do. You'll have to try and try again.. It should've! Is this tutorial on the wiki yet? 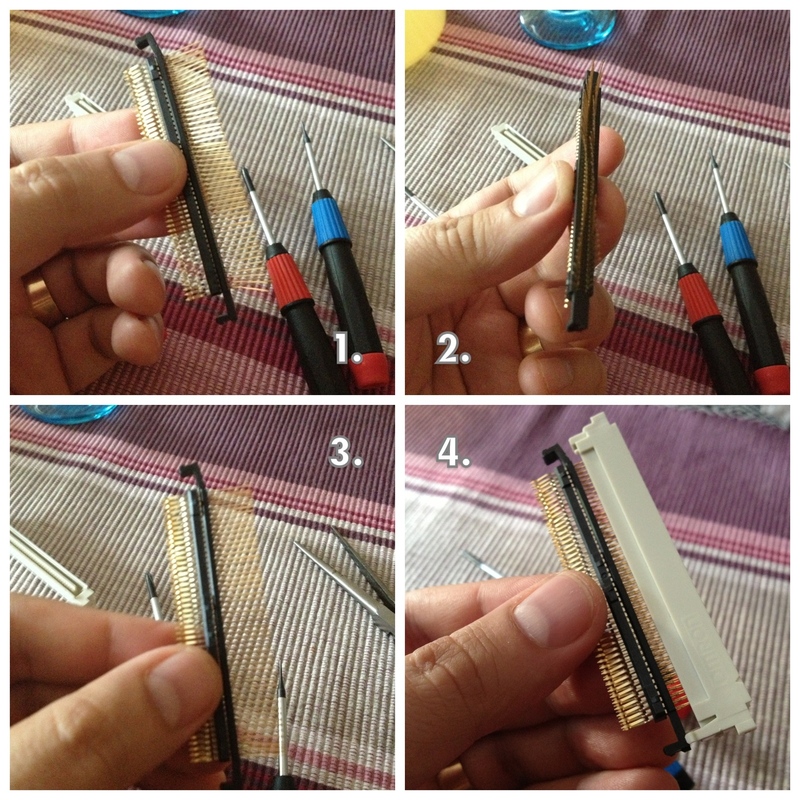 Very interesting, I didn't know these connectors were soldered that way. Thanks for the info. 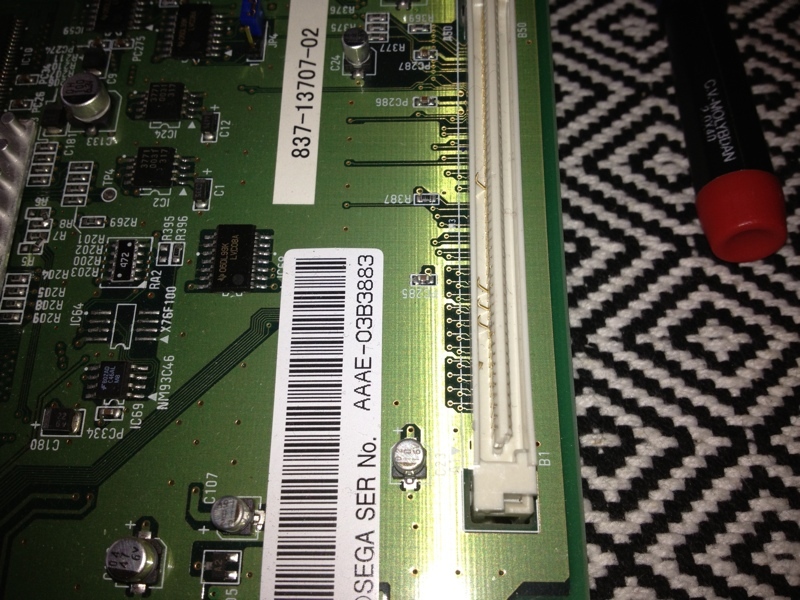 I'm looking to replace the connectors on my Naomi board. Do you know the specific Omron part number for the connectors? Is this it? I had to do this to a Power Stone cart (sold to me as working ). An absolute PITA job.